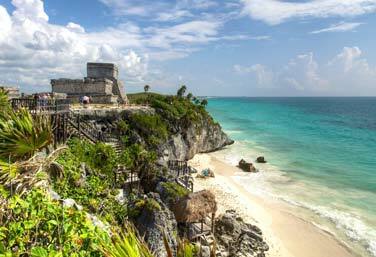 Covering three states, Yucatán, Campeche, and Quintana Roo, the Yucatán Peninsula is among the most diverse in the hemisphere. 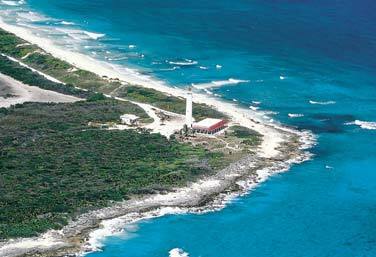 With its eastern border complimented by the Caribbean Sea, the Yucatán Peninsula boasts ancient ruins, rainforests, underground caves, traditional haciendas, colonial cities, offshore islands with luxury resorts and natural wonders that will satisfy even the most seasoned travelers. 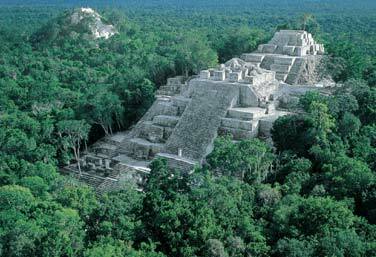 Bordering Belize and Guatemala, the Yucatán Peninsula maintains its close Mayan ties, observed in its inhabitants dress, language, religion and cuisine. 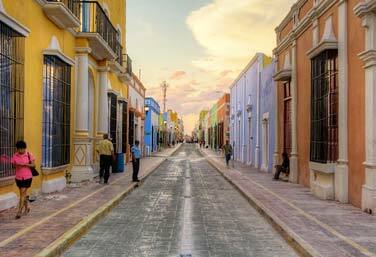 Mérida – The vibrant capital of Yucatán state, Merida is a colonial city replete with elegant buildings that were once the city homes of wealthy hacienda owners. Now boasting a burgeoning art scene, boutique hotels and fine cuisine, Mérida is consistently voted as one of the nicest cities in Mexico. 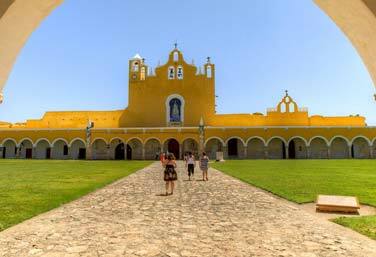 Campeche – The colorful capital of the state of Campeche, the city itself boasts many restored buildings and colonial structures that helped it to become a designated UNESCO World Heritage Site in 1999. Once a port town fearful of pirate attacks the city is surrounded by a thick fortress. 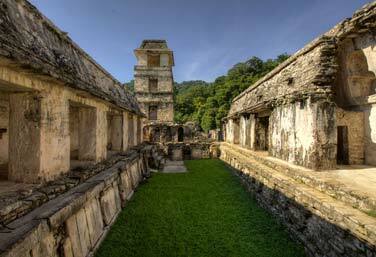 Mayan Archaeological Zones – Home to some of the most finely restored Mayan cities in world, the Yucatán Peninsula also contains ruins still covered in dense jungle, waiting to reveal new hidden mysteries. 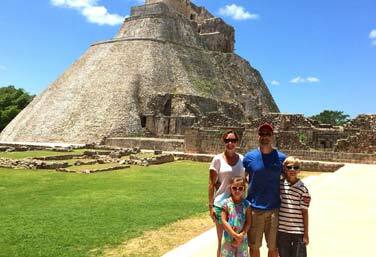 Those unearthed offer a glimpse into the ancient Mayan world as you walk in the footsteps of civilizations past. 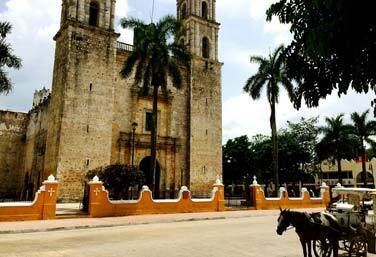 Valladolid – The Magical Villlage of Valladolid is a small, colorful town with a laidback, sleepy feel. 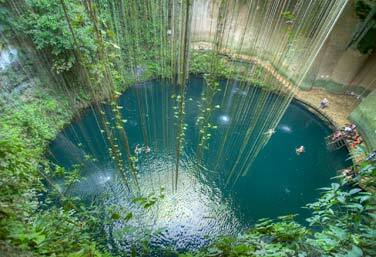 From colonial era churches and architecture to natural wonders such as cenotes, Valladolid is a great place to stop. 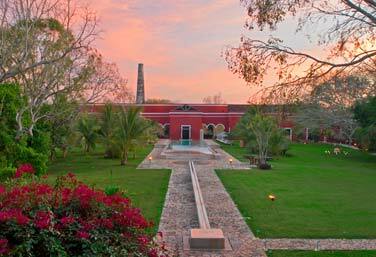 Haciendas – Scattered throughout the Yucatan Peninsula, haciendas offer a glimpse of what were once operational henequen plantations in the grand style and tradition of the period. Many have now converted into living museums and luxury hotels. 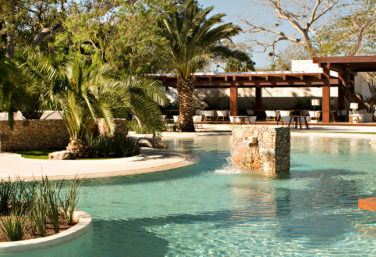 This itinerary designed for families who wish to explore Mexico while staying at an elegant resort. 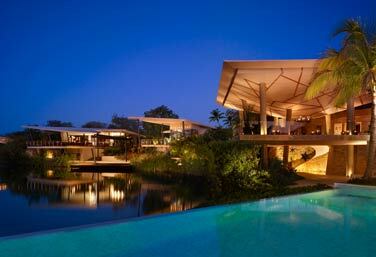 Surrounded by verdant jungle and white sand. For those who seek to experience its natural wonders, including lush jungles and stunning beaches; and a rejuvenation sanctuary, with unique spa treatments and wellness retreats. 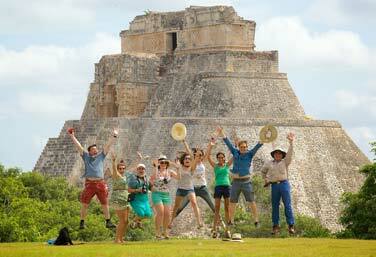 Enjoy the best of Yucatan Peninsula and Riviera Maya with Journey Mexico and Chablé resorts. 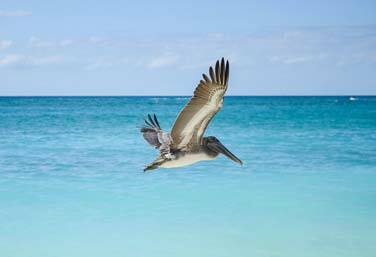 Reset your body and mind with a cultural tour of the Yucatan Peninsula and a tranquil stay on the idyllic Holbox Island. 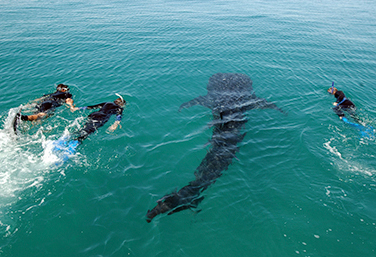 The Swim with Whale Sharks and Visit Ancient Ruins trip allows for an up-close encounter with the docile whale sharks, and visit to the areas most interesting Mayan sites, providing unique and exhilarating experiences not to be forgotten. 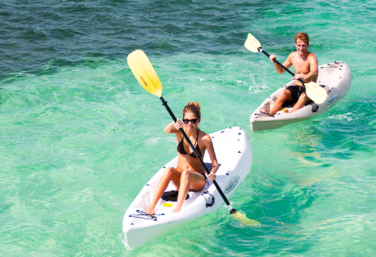 Visit the Yucatan Peninsula on this complete adventure, experience charming colorful markets, taste delicious regional cuisine, climb Mayan ruins and relax on the Caribbean Sea. 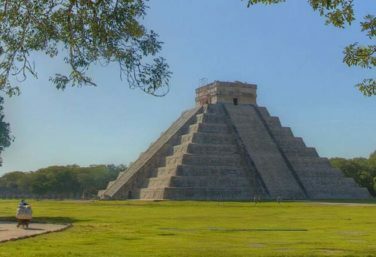 The Mexico City to the Yucatan Peninsula itinerary allows you to discover the wonders of two regions in Mexico with a visit to several pre-Colombian ruins. 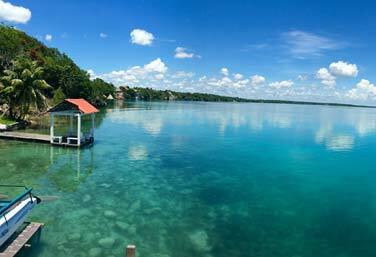 Discover the highlights of the Yucatan Peninsula traversing Mayan archaeological sites, visiting small authentic pueblos, and picturesque cities filled with color. The weekend extension in the Yucatan is a great for families and compliments existing stays in Cancun and the Riviera Maya. The Culture of Mexico Experience explores Mexico City, Guanajuato, and the Yucatan Peninsula for a look at the many of the traditions and history that the Mexican people take great pride. Discover the Splendor of the Yucatan, visiting Mayan archaeological sites and enchanting towns complimented by stays in Haciendas and a visit to a live-working hacienda. 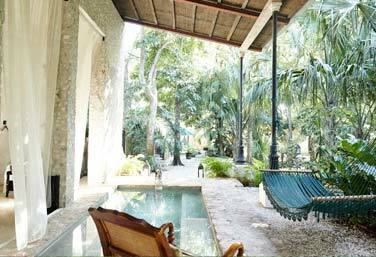 The weekend escape to the Yucatan is a great on its own or add-on to any beach stay in Cancun, Riviera Maya, or Tulum. 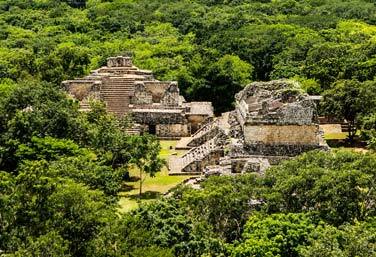 The Yucatan Peninsula tour offers a fascinating blend of pre-Columbian, Colonial, and modern day culture and a variety of unique and diverse natural wonders. 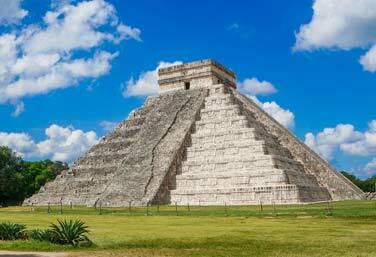 Journey Mexico invites you on an exclusive, unique, and expertly guided exploration of Chichén Itzá by privately chartered plane. For those who only have limited time this great expedition that combines Mayan Culture and the natural experience of snorkeling with wild turtles. 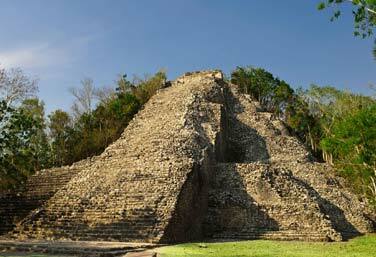 Enjoy a spectacular day expedition that in which you will visit the archeological site of Kohunlich, and UNESCO World Heritage Site of Bacalar. 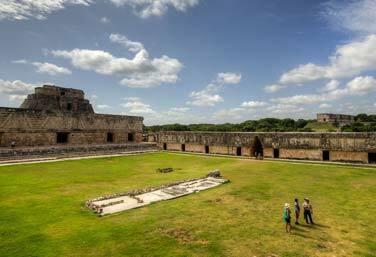 Discover the spectacular archaeological site of Uxmal and the capital of the State of Yucatan, Merida, by privately chartered aircraft. 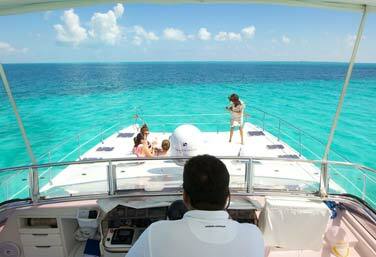 Sail the turquoise protected waters between Isla Mujeres and Cancun on the 54 ft private catamaran charter Fountain Payot. 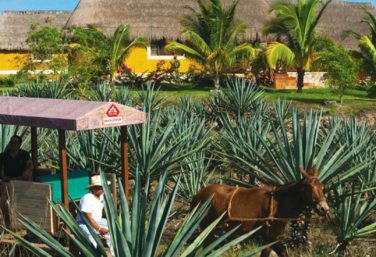 Journey Mexico invites you on an exclusive, unique, and expertly guided exploration of some of the most interesting sites in the Yucatan Peninsula. 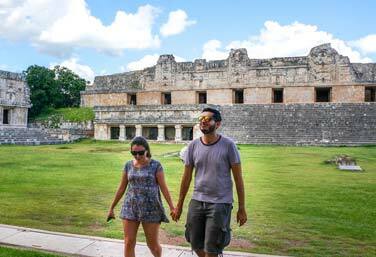 Journey Mexico invites you on an exclusive, unique, and expertly guided exploration of Chichén Itzá and Valladolid with lunch by private vehicle. 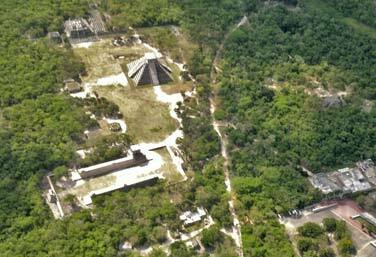 Discover the most important Mayan Archaeological Sites of northern Quintana Roo, State – Cobá and Tulum.